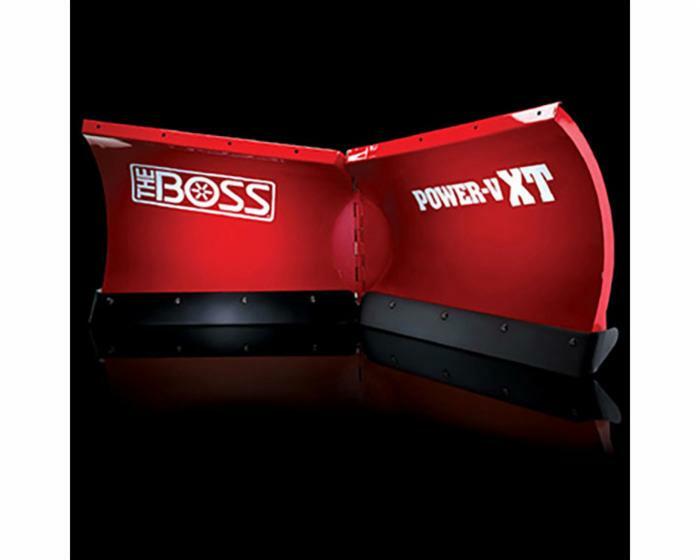 Boss UTV Power V XT Steel Plow 6’6” includes the great same features as full-sized Boss plows, but is specially-designed to complement your utility terrain vehicle. With a reinforced moldboard and trip design, high-performance hydraulics, and great ground clearance, this plow successfully clears snowy areas while resisting unwanted bounce and avoiding hidden obstacles. In addition, a Hardox® wear plate increases durability, while a built-in snow catcher and curb guards help to further protect your Boss plow.